I have just published my pattern for Crocodile Crochet Barefoot Sandals on Ravelry! These barefoot sandals are ideal for those practicing yoga and belly dancing. They’re also perfect for the beach or for those lucky enough to be attending a beach wedding. Can’t find a pair of sandals to match your outfit? 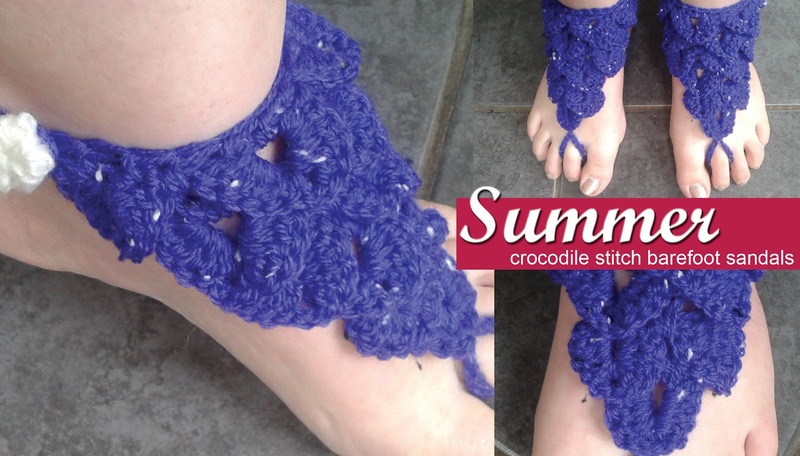 No problem, you can even find yarn to match what you’re wearing, make a pair of these and wear them over flip flops, or the currently on trend two strap sandals! A simple life is good with me. I don't need a whole lot. For me, a T-shirt, a pair of shorts, barefoots on a beach and I'm happy. See the link below for more info.